Give Keylogger Spying Software a try before buying it. 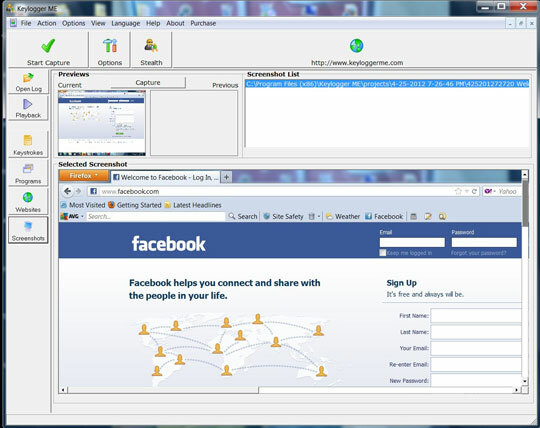 We offer a free to try version of the keylogger. This version includes a run time of 2 days. You'll be able to try it out and see all the data it collects over a period of 2 days. After the trial period of 2 days the free version will no longer collect data (Purchase the full version to remove the 2 day restriction). You will be able to see the data it collected while it was active. Learn how to use the user friendly functions of Keylogger ME software with the Quick Start Guide. Also see System Requirements.